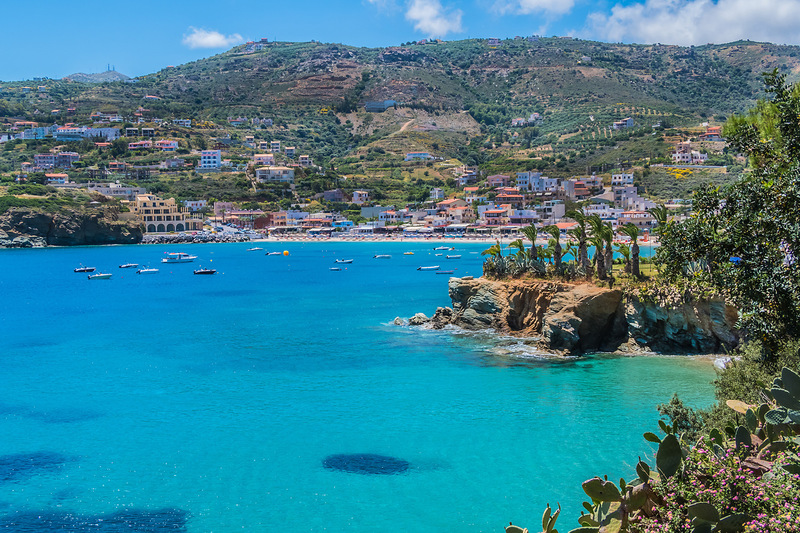 Twenty kilometers west of Heraklion, Agia Pelagia has a snug little bay and harbor which appears like a postcard from the main road above the village. In 1965 a far-sighted man began buying property from local residents for 5,000 drachmas (17 Euros) a stremma, or thousand square meters (about a quarter acre). This was just when tourism on Crete (and in Greece) was taking off. Current (2016) prices for a stremma of land there is about 40,000 Euros, which is probably close to half its peak price in 2006 because of Greece's ongoing economic crisis. Not long after the 1965 purchases, the Capsis company built the large, sprawling, luxurious Capsis Beach Resort on the peninsula which forms the western shore of Agia Pelagia's bay. It now occupies all of the peninsula, whose dimensions are about 350 by 150 meters. A number of other hotels and rentals have also been built in the area. Tavernas and restaurants crowd along the narrow, 30 meter-wide beach of Agia Pelagia. The beach is sheltered from high winds by the arms of the bay. The village itself is built into the hillside like an amphitheatre, which affords panoramic view of the bay. The village center, small as it is, offers every amenity one needs; souvenir shops, restaurants, tavernas, ATM machines, a pharmacy and a taxi stand. Always a good sign, Agia Pelagia is a favorite of Cretans, mostly from Heraklion. The waters of the bay are deep and transparent, ideal for snorkeling or diving with a mask on. 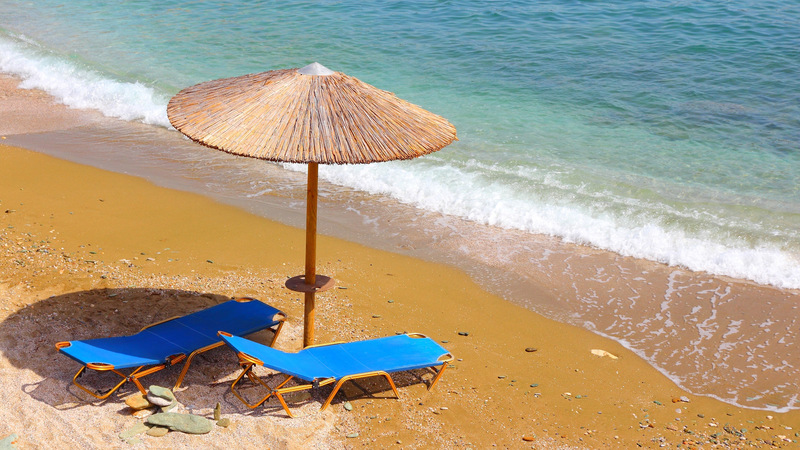 There are quieter beaches west and east of Agia Pelagia if the crowds are too much. 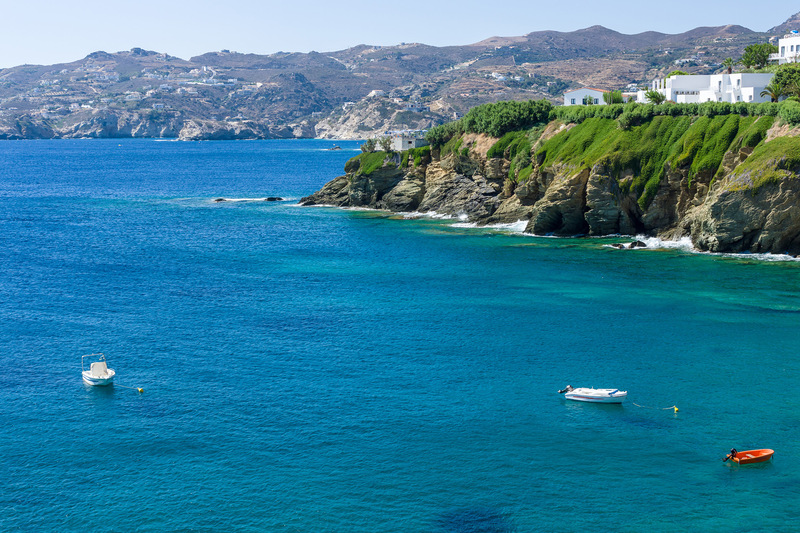 Those beaches include the smaller beach on the peninsula the Capsis occupies, the Ligaria Beach east of town, which also is on a protected bay, and the Psaromoua Beach west of town, a favorite of locals. A bit further west (which like the other beaches, is actually north, because the topography follows a larger peninsula), Mononfatis Beach is a pleasant cove with mixed sand and pebbles, where the water is also deep. All of these beaches offer umbrellas and sun beds Agia Pelagia is a laid-back place, so you won't find the intense night life available elsewhere in Crete. The evenings are quiet and peaceful with the buzz of diners' voices, the soft lapping of the waters on the beach, and the sight of couples and families strolling along the seaside. Agia Pelagia is a reasonable drive away from Knossos (25 km). 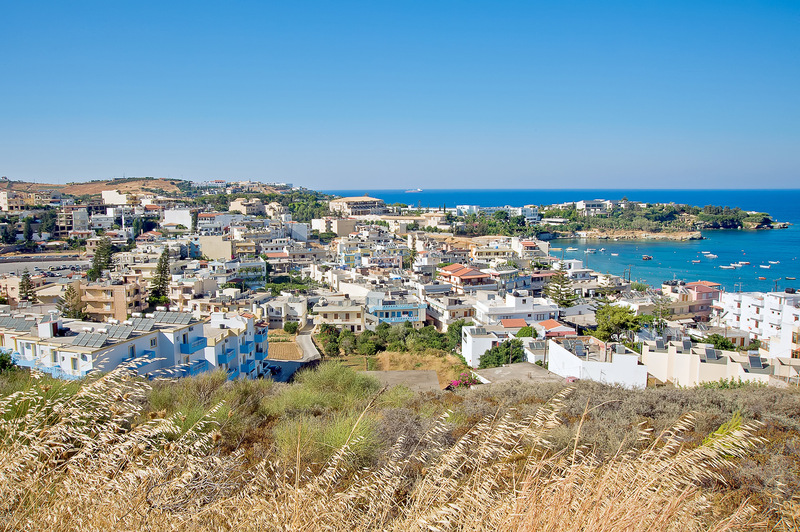 South of Agia Pelagia 5 km is the village of Rodia, elevation 350 meters, which offers a panoramic view of the village, the bay and the environs as far away as Heraklion. Nearby is the monastery of Savathianon, built in the 1500's. Not far from Savathianon was another monastery, which had 300 monks who were massacred by pirates. Savathianon was founded by two monks who survived. West of Agia Pelagia 20 km is a turnoff for the village of Fodele, birthplace of Domenicos Theotokopoulos, the painter better known as El Greco (born 1541). His birthplace is now a museum featuring replicas of his art work. Still further west, after Bali, is the turn off for the Cave of Melidoni, known as Gerontospilios (Old Man's Cave), where trapped Cretans were killed by Turks who started a fire at its entrance. There is a nice cafe at the entrance, with a beautiful view. 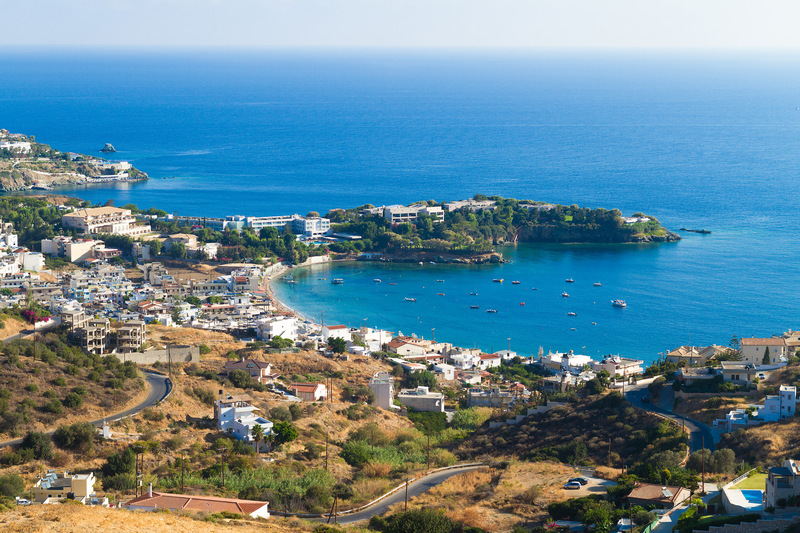 Agia Pelagia is a great place to vacation, and, by virtue of its central location on the north coast of Crete, is a good place to use as a base for sightseeing further afield. No doubt the men who first invested it property there knew their geography well.